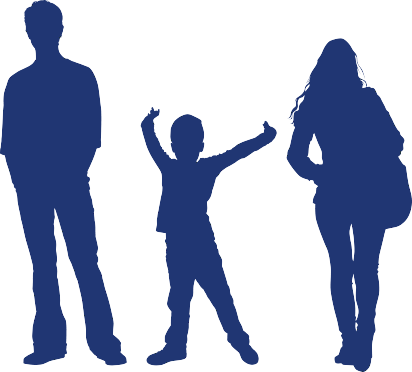 With the Evekeo® CII (amphetamine sulfate tablets, USP) Copay Savings program, eligible pediatric ADHD patients can try Evekeo at no initial cost. * You just need a prescription from the doctor and activate your savings card to get the ball rolling. 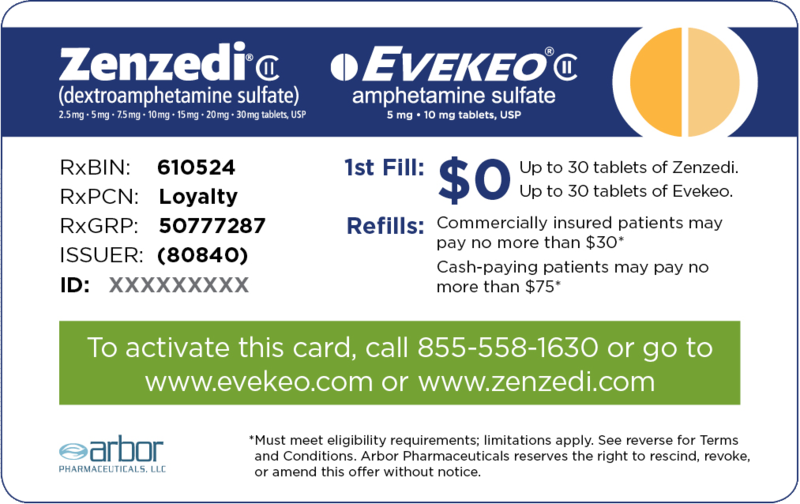 To the Patient: Eligible patients may receive their first fill of Evekeo® CII (amphetamine sulfate tablets, USP) or Zenzedi® CII (dextroamphetamine sulfate tablets, USP) prescription for $0. For remaining fills, if your copay exceeds $30 (insured patients) or $75 (noninsured patients), present this card to the pharmacist for an instant discount. Patients may use the savings card each time a prescription is filled for up to 360 days’ supply per year. Copays are based on 30-tablet count prescriptions. Benefit limitations apply. Patient is responsible for the remaining balance after benefit limits are reached. If you have any questions regarding your eligibility or benefits, or if you wish to discontinue your participation, call 855-558-1630 (8:00 AM–8:00 PM EST, Monday–Friday). When you use this card, you are certifying that you understand the program rules, regulations, and terms and conditions. You are not eligible if prescriptions are paid by any state or other federally funded programs, including, but not limited to, Medicare or Medicaid, Medigap, VA or DoD or TRICARE, or where prohibited by law; and you will otherwise comply with the terms above. For questions regarding setup, claim transmission, patient eligibility or other issues, call 855-558-1630 (8:00 AM–8:00 PM EST, Monday–Friday). Arbor Pharmaceuticals, LLC reserves the right to rescind, revoke or amend this offer at any time.